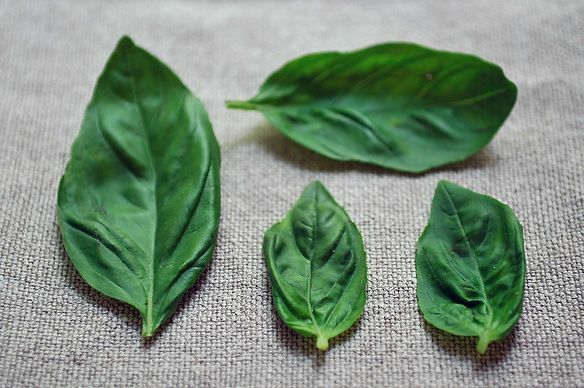 Starting Sunday at midnight, we want to see Your Best Recipe Using Fresh Basil. This is the fifth contest Whole Foods Market will be sponsoring, awarding the winner with a $100 gift card. At the end of this 8-week summer promotion, one of these winning recipe authors will be awarded the Grand Prize: a $1,000 gift card! Fantastic theme! I can smell the basil already! Have a great vacation! PS - an all day "semi-homemade tv marathon" ...I will be laughing about that "scary thought" all day! Have a wonderful trip. My husband used to live on Kaui many years ago and still dreams about it. We were there last year and had a great hike on the NaPali Trail. Rocky!!! And I never thought I'd take one of those helicopter rides either, but I agree with drbabs, it was amazing!! Not sure I'll do it again....but it was so beautiful! We look forward to finding out what happened to it all. Hi Liz--I was in Kauai in April--have a great time! It's beautiful there. Take a helicopter ride! Liz, what island are you going to? I'm in Oahu and the farmer's markets are fantastic! Oh...the water is so warm in Hawaii at this time of the year!! Kauai has the best watermelons that I have ever ever tasted now! We get a few over on Maui and I dream about them the rest of the year. Have a fabulous trip Lizthechef! I'm from Oahu and Kauai is heavenly. Have you ever kayaked/hiked the Na Pali coast? And to monkeymom, have you been to the Saturday FM at KCC near Diamond Head? It is very popular (crowded) these days but one of my favorites. Lots of delicious things to eat in addition to local specialties. Monkeymom, that pizza is my favorite too. Especially for breakfast! I will send you a message if I think of any other places...enjoy the rest of your trip! thanks gingerroot. The 'send me a message' link doesn't work for me so if you do think of anything, please post here. You are so fantastic! Thanks so much! Can't wait to explore these places tomorrow! Hooray! My basil needs serious picking, now I will get off my duff and do it!! !